​" Music lessons can help children as young as four show advanced brain development and improve their memory." 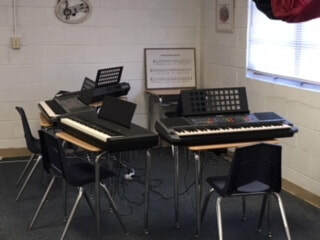 Is your child ready for a piano class? First you and your child should be willing to commit to short, daily practice sessions together at home. -Sit, listen, and follow directions in a structured classroom setting. -Recognize and name most of the alphabet letters and demonstrate an interest in beginning reading. -Recognize and name numbers 1-10. -Clap ti a steady beat. -Demonstrate a desire to learn to play the piano. The curriculum consist of Sing-Along Activities ​and leveled piano books with complimentary audio recordings. Notes and concepts are taught at a careful and steady pace, giving students a solid foundation without moving too quickly. The curriculum provides diverse learning opportunities that incorporate singing, movement, games and more.